See below for Liverpool Empire events & concert tickets. Check address, transport & venue details. Buy Liverpool Empire tickets with confidence from LiveNation.co.uk. A number of notable names travelled to Liverpool during this time to appear at the theatre, including Ellen Terry and Henry Irving, Marie Lloyd, Harry Lauder and, more notoriously, Sarah Bernhardt. Towards the end of the century the theatre began to struggle financially, operas were very expensive to produce and didn’t bring in the financial returns necessary. At one point in an attempt to prevent the bailiffs entering the theatre, management and staff stood together with fire hoses to fight them off, however they could not prevent the fact that bankruptcy was inevitable. In 1895 a company called Moss Empires bought the theatre for £30,000. Moss Empires were a large theatrical company that eventually went on to become the Stoll Moss Group, and owned many ‘Empire’ theatres around the country. 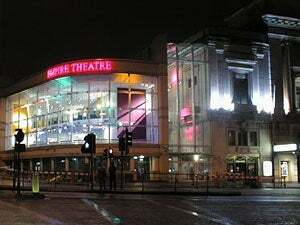 They changed the name of the theatre again, it now became the Empire Theatre, our name for just over one hundred years. They had the theatre refurbished by famous theatre architect Frank Matcham, and then continued to run the theatre along the same lines, opening with the pantomime Cinderella and also producing a number of variety shows. Early in the 1900’s electricity was put into the theatre. Most people didn’t have electricity in their homes at this time, so to come to the theatre and see it lit with electric light was quite spectacular. It also made a big difference from a safety point of view. The theatre stayed open throughout the First World War, with a seat in the ‘gods’ costing a tanner. During the 1920’s Moss Empires decided the theatre wasn’t big enough or grand enough and so they pulled it down. The Empire Theatre that stands today was opened in March 1925, entirely rebuilt and enlarged to become the most up to date theatre in the provinces. It had the widest auditorium in Europe, and with a seating capacity of 2,381 is one of the largest two tier theatres in the country. The theatre was based on an American design, possibly a theatre in Chicago or New York. During the 1920’s the Americans had a law called Prohibition, which meant no alcohol could be consumed, either in public or private. So when the new Empire Theatre was opened they hadn’t put any bars in. We didn’t have the law of Prohibition in England and the people of Liverpool wanted a drink when they came to the theatre, so very quickly bars were put in both upstairs in the circle and downstairs below the stalls. The first production in the new theatre was a revue called Better Days, and this heralded the new fashion in theatre during the 20’s and 30’s, when shows were a collection of music, dance and comedy but with little or no story to hold them together. The Empire welcomed stars such as Ivor Novello and Dame Sybil Thorndike during this time. At the beginning of the Second World War the government decided that all theatres and cinemas should be closed down. They thought it was too dangerous for a large number of people to be collected together under the threat of air raids.